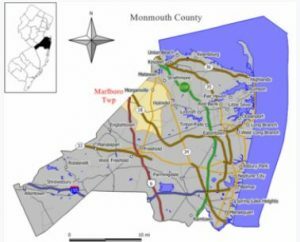 Search for condos for sale in Marlboro NJ. Call 732-598-7700 to see the Marlboro Condos For Sale or the Morganville Condos For Sale. Some of the condos are in Marlboro. However, most of the condos for sale in Marlboro are actually condos for sale in Morganville. Morganville is a section of Marlboro. The Morganville condos for sale are in one of three complexes, Point de Jardin, Millponds and Belmont at Marlboro. In these complexes you can find two or three bedroom condos or townhouses. However, if you want a garage they are only available in Bellemont. Belmont has a few four bedroom units. Sometimes you can find Morganville condos for sale in Millponds that have a basement, while the condos for sale in Morganville in Belmont have garages. You can find Marlboro condos for sale in two complexes that are not in Morganville. These complexes are The Orchards and Glenbrook and they have either two or three bedrooms. The Glenbrook homes have a garage, while some of the homes in The Orchards have a garage. Of the Condos For Sale in Morganville and Marlboro, there are over 1,000 homes. The condos for sale in Marlboro that are approved for FHA financing are in Millponds, as a result these can be purchased with as little as 3.5% down payment. However, low down payment financing in other Marlboro condos in also available. Another nice feature of the Morganville condos for sale is that all three complexes are within walking distance of Route 9. New Jersey Transit and Academy Bus offer commuter and local bus service along Route 9. And commuters love the area because the New Jersey Transit North Jersey Coast Line can be accessed in nearby Matawan. Parents love Marlboro because it’s noted for it’s school system. Marlboro Township’s Public School District provides education for students in Kindergarten through eighth grade. When students enter high school they will attend the Freehold Regional High School District. The Freehold Regional High School District consists of six schools. The schools are Marlboro, Freehold Township, Colts Neck, Freehold, Howell and Manalapan. While students will attend the high school according to boundaries set by the district, most, but not all, will attend the Marlboro High School. Each of the six high schools offer a special curriculum for talented and highly motivated students. Admission is through a competitive process. Students also have the option of attending the Monmouth County Vocational High Schools system. In other words, a wide range of educational programs are available. Students of he high schools consistently exceed SAT scores of state and national averages. As a result, a very high percentage of the district’s students ( 87%) go on to higher education. In addition, many private schools are in the area. Call 732-598-7700 to see the Marlboro Condos For Sale, Condos For Sale in Morganville, Morganville Condos For Sale or Condos For Sale in Marlboro.